The empath's guide: Why do you choose the shotgun method that doesn't work, while you know that the process method works? He is proof that you don't have to have a very high vibration to be able to look from high enough so you see enough to make millions and even teach others to make millions. 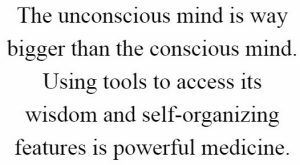 He talks about beliefs, core beliefs, and subconscious... terms of psychology, but not the same way as other gurus (or psychologists) who never did what he did: test his theories in practice. In his own life. Prove it or disprove it. 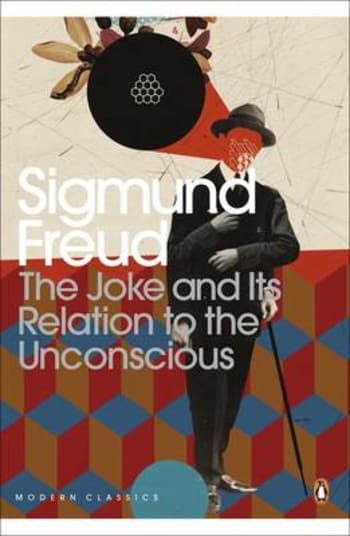 One of the phenomenon he writes about is the unconscious. The stuff you are not aware of because you can't see it. In my work, as a human evolution coach, I call it the invisible. The invisible dynamic. The invisible stuff. The 99%. The root level. The seed level. 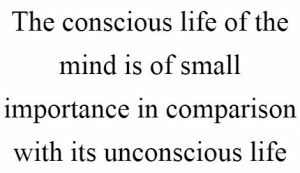 But maybe he is right, calling it unconscious would be more useful... no one believes that they will see the invisible one day, but many may believe that the unconscious can become conscious once you know what to pay attention to. 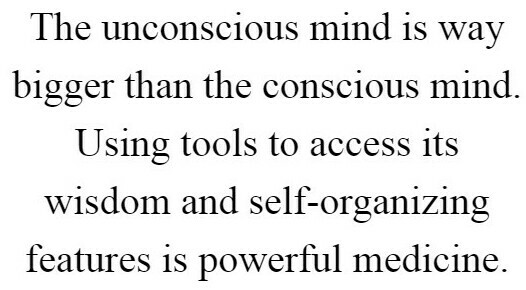 What are the things you are unconscious about, and yet never investigate? Never suspect that there is something there: if you just paid attention! The story that the natives could not see the ships of the Spanish when they came to discover America goes like this: the natives were standing on the shore and knew that something was going on but didn't know what. They had never seen big ships with big sails... so they could not see them. But they saw the water changing at certain points. I call that the shadow effect... Where you can see the shadow and deduce that there is something to see. We know what happened to the natives: they were slaughtered. And so are you unless you start to pay attention to the shadow of the invisible, unconscious world: the indicators, the messages you can use to find the cause. You can find your way to the unconscious, to the invisible by following the shadow, or following the thread. 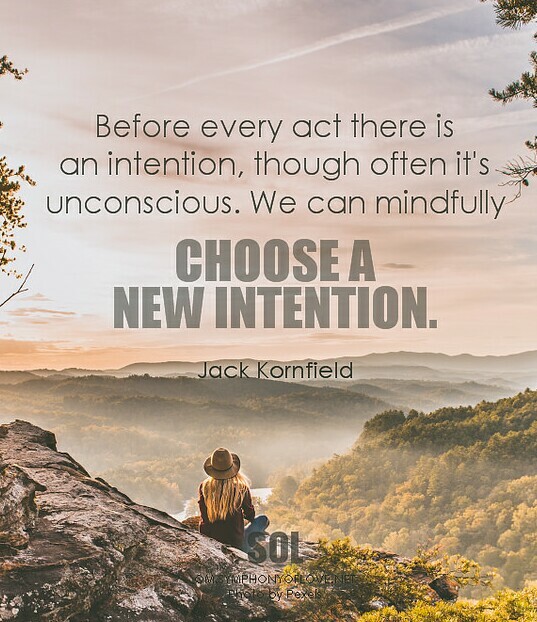 Because what you are unconscious of, the invisible dynamic of reality, needs you to root out the unconscious movers of your actions, the unconscious ways you see yourself and the world. All failures are due to this ignorance. 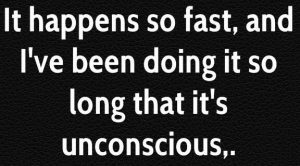 To this unconscious and invisible dynamic that could be known, could be seen, but it takes time, takes effort, takes patience, takes looking. And takes someone who guides you. 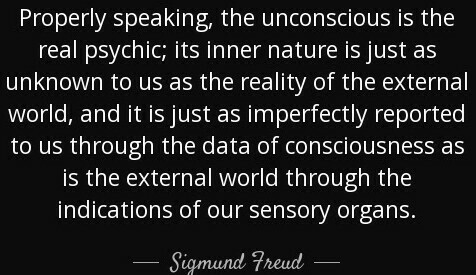 I was guided, and taught, and coached, for decades to get to the level where I am... seeing a lot more of the invisible, seeing a lot more of the unconscious. The more I see the more I can do, the more results I can produce both for myself and for my clients. You see, those natives KNEW that there is something there... but there is knowing and there is knowing. Yesterday I wrote about the Dark Side attack on the world over the Christmas period. It effected the water, in you and outside of you, and it was very obvious that something was going on. My Water Energizer clients were thirsty, chapped lips, easy to tire, less emotionally stable, more in a hurry. Plenty of shadow to point to a change in the invisible. It is both a habit and a skill. 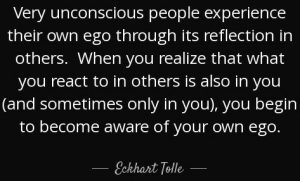 The cause of the behavior is also in the invisible, and unless you see it, you have no power over it. A mosquito is too light on the skin to feel it for most people. But its buzzing is the shadow... and if you train yourself, you can catch or kill a mosquito by the buzzing sound. I do and I can. The same way you can go about detecting the source of behaviors, the source of emotions. 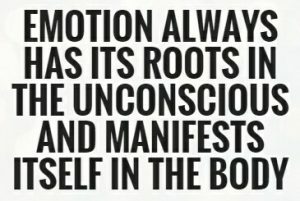 All emotions are "marker feelings". The emotions come as a marker that there was some speaking... some words. Words that are unconscious, mostly, and are associated, in memory, with some feeling. No emotions exist without an earlier similar association between the words and something happening. A baby is not afraid. A baby animal is fearless... It needs to be taught fear, or it won't live to become an adult. So parents create fear in their offspring... because fear is needed. But the parents overdo it... when it comes to humans... and you are overly fearful. And if you look, the size of your fear is disproportionate with the danger... You have the same size of terror from a roaming lion as you get from being called upon when you may not know the answer. Now, why is it useful to know that no emotions exist without words? Because emotions are shadows. Shadows of the words. The emotions are obvious. 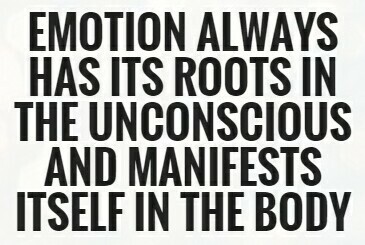 Even if many of you are blind and deaf to most of your emotions as well, but some emotions are obvious even for you. Start with those. And know what you are hunting for, what you want to catch. You want to catch words... the voices that say something like: "now you did it... you are dead meat!" or something bombastic like that. You have a set of sentences that if you can catch, life can become a lot better for you. It took me years to find one... But then there was a point when it was the homework in one of my courses. My group would get together to do homework. Everyone was equipped with a sticky notes pad. Every time someone said anything, we would listen to the unconscious, emotion creating bits in that speaking. Hundreds of sticky notes in an hour or two. 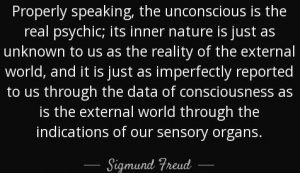 My eyes and my ears got tuned into the unconscious, the invisible. It is a lot easier to hear it in others' speaking. But one day I heard it, loud and clear, that I said "No matter what I do"
I could not unhear it. And when I looked I saw that it was a lie. That was the end point of Ariadne's thread for me. 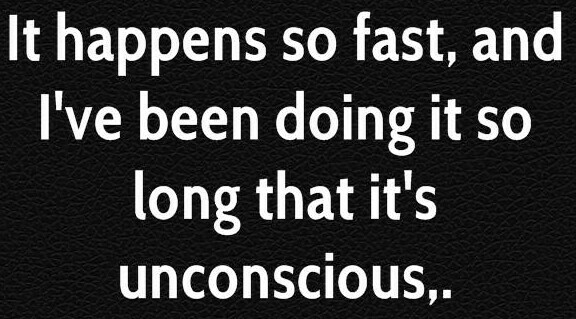 Now I knew how my unconscious/invisible sounded. I could tune into the sound, instead of trying to catch the words... 2 Blaming, lying, whining, winging, looking for the effect on others. buying me time. Justifying not having amounted to much. Holding back. Expecting to be rejected... thrown out... while secretly working on just that outcome. Shaking off all obligations, shaking off all demands... while pretended that I wanted to do something useful with my life. I had an incident that had I known what I know now, could have started this process... but I didn't know. I was in second year of my architecture studies. It was a test. Oral, individual assignments. I didn't even understand my assignment... it was mighty complicated. I asked a question of the professor... and he explained and then proceeded to fail me. I argued: I would have known had you not told me! I yelled. "If it weren't for you" in Eric Berne's language 3 ... lol. 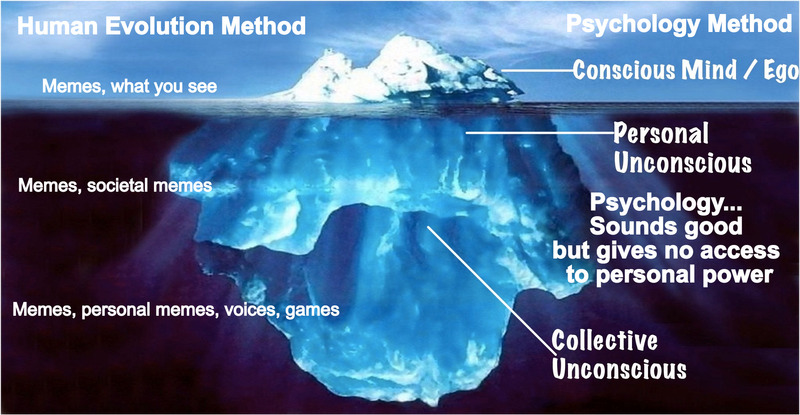 Nothing is quite as useful at getting the enormous variety of invisible and unconscious words out of the unconscious! The professor was stunned and said: I'll give you a difficult question. If you can solve it in a minute, I'll pass you. For some weird reason I could, and I passed. But in my hearts of hearts I knew I cheated. And then it became a habit. But worse than that: I became that person who has to cheat because... guess what, I wasn't smart enough to win. Ding... extreme pain in the heart area... the emotion... sadness, weepiness, despair. Now, let's look at the title again: Why do you choose the shotgun method while you know that the process method works? The process method will force you to face yourself and your unconscious and powerful methodology to avoid work, avoid pain, avoid effort, and avoid being seen for who you are. You are not alone. You are not alone with a pretend personality and a real personality. You are not alone with being a chicken, a coward, a lazy bum, and a Houdini. We are all, more or less, we are like you. Nothing to feel bad about. Just revealed to yourself and to your coach the different schizophrenic personal living in you, and start digging for the words... the mighty words that keep you stuck. No matter what level of vibration, what level of consciousness you are at, you'll have these two-three different personas. I ask myself, at least once a day, if I am a delusional fraudster, or if it is real what I do. And of course the marker feeling fear and trepidation is there... first the words, then the emotions. But then I look at the results, and I know I am no fraudster. Then I get back to work. To whatever i am doing. Being found out is the biggest fear. Found out that you can... really. Found out that you could... if you actually got to work. Ugh... right? lol. PS: I forgot to say that in the upcoming Playground workshop series, participants will go deep and wide, looking for, finding, discrediting, etc. the memes from the invisible, the memes from the unconscious, so they can become who they could become... without those memes. I am planning to raise the price for people who are not in my coaching program... because they have no foundation... they are newbies... more work for me. But for now, go and check out the rock bottom prices. Please get your Starting Point Measurements if you haven't. 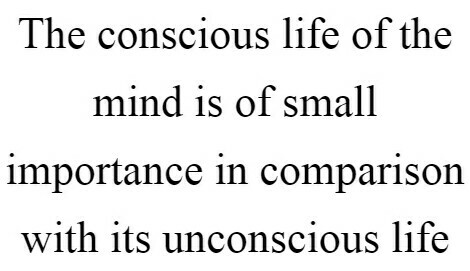 You won't get conscious with the mind... 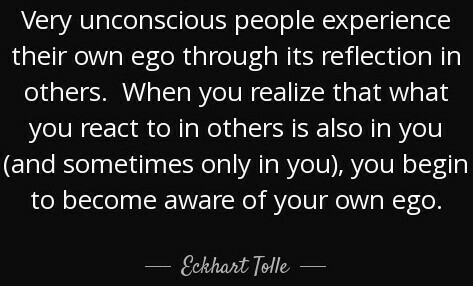 The aspect of you that can get conscious is your Observer or Watcher. You can make an agreement with it to signal it to you that there is something to pay attention to. I have. My Observer watches and signals to me throughout the day. You have to go to the bathroom, Sophie... so I go. You need to drink some water, Sophie... so I drink. Sometimes I get very busy, and ignore the Observer. Then I have to go and have a conversation with it... to repair the relationship... Touchy fellow this Observer, lol.